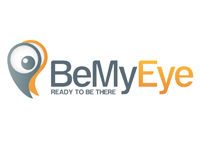 BeMyEye, the European leader in mobile crowdsourcing, announces that it will receive €6.5m in Series B funding from Nauta Capital, P101 and previous investors, among which 360 Capital Partners. The closing of the funding is expected for the end of May, subject to certain customary conditions for transactions of this kind. “BeMyEye is a disruptive game-changer in a market where real world big data is a growing need. We, at P101, strongly believe this new funding round will consolidate the company’s leadership at an international level,” says Giuseppe Donvito, Partner at P101.